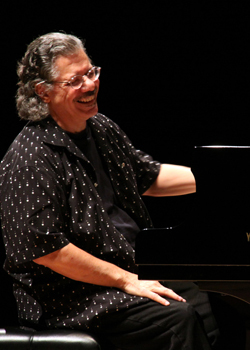 Chick Corea, the American jazz musician who has cooperated with an orchestra in Trondheim for the past decade, has now also been awarded an honorary doctorate degree from the Trondheim-based Norwegian University of Science and Technology (NTNU). Corea started working with the Trondheim Jazz Orchestra during the annual Molde Jazz festival in 2000, when they performed what became known as the “miracle concert.” At that time, all of the musicians in the orchestra were students in NTNU’s program. They’ve been back together in recent days for a brief concert tour that began in Molde on Wednesday, continued on to Trondheim, Umeå and Stockholm in Sweden over the weekend, and was to end in Oslo on Monday. Only three of the 32 honorary doctorates awarded by NTNU (external link) to date have gone to performers earlier: Norwegian actress Liv Ullmann, Norwegian violinist Arve Tellefsen and violinist Anne-Sophie Mutter, who also has performed often with Trondheim musicians. The majority of NTNU’s other honorary doctorates have gone to persons distinguishing themselves in the areas of technology and science.